When it comes to your Jiu Jitsu, takedowns will give you a huge advantage. On today’s mats, there exists a large percentage of “guard pullers” and there are also many practitioners who prefer to work from the top so being able to put your opponent or training partner on their back is a massive weapon to have in your toolbox. This is especially true if you can throw or takedown your opponent immediately to side control or a dominant position. 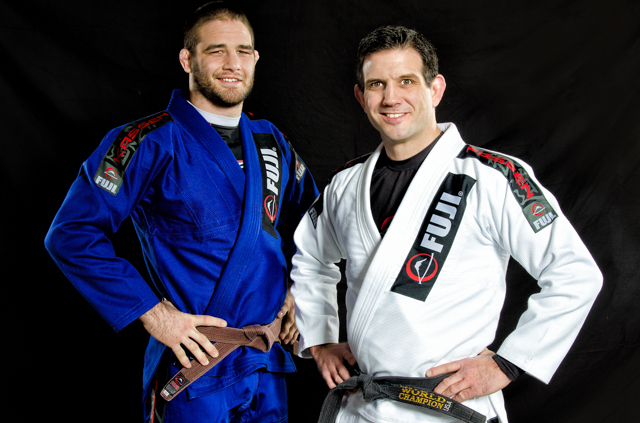 However, to be successful at takedowns in Jiu Jitsu, you need techniques that are specifically designed for BJJ. Many takedowns simply don’t work as well on the BJJ mats. So don’t going trying any takedown and expect to have success. It simply doesn’t work that way. Jimmy Pedro who is a four time USA Olympian Judoka and is one of the most successful American Judoka ever, not only as a practitioner, but as a coach. He has earned himself two Olympic bronze medals, two bronze medals at the Judo World Championship, and a gold medal at the Judo World Championship. More importantly, Jimmy is a great coach. He wrestled for four years at Brown University and won the Eastern Collegiate Wrestling Title. As a coach he was the 2012 USA Judo Olympic coach, coaching Kayla Harrison to the first ever American gold medal in Judo! So we know that he can not only be successful as a practitioner, but as a coach as well. So if you want to learn takedowns for BJJ, learn from the best and Jimmy and Travis are the very best instructors when in comes to combining Judo and Jiu Jitsu for the most effective and devastating takedowns. We were lucky enough to get a sneak peek at their new DVD series titled Takedown Blueprint and during the review, and what we found was fascinating. Not only do we get a masterful breakdown of Judo throws for Brazilian Jiu-Jitsu, but we also get an analysis of taking on a wrestler, guard puller, and other great tips! We thought this was a great DVD series as we not only got the perspective of Jimmy Pedro, a phenomenal Judoka, but also of Travis Stevens. The DVD set has 3 discs and is jammed packed with techniques as well as explanations of the concepts that sit behind them. As you saw in the above video, for each technique the little tips and tricks are also explained as are the pitfalls to avoid. It is the smalls things in Jiu Jitsu that matter and that is why this DVD sets shines. This DVD has very solid production quality. The video is in great definition and does not have any faults. The voices are always clearly heard. Jimmy and Travis show us multiple angles on all of the techniques and this is definitely a bonus. The only thing that we think could have been done better is utilizing more close ups into the grips etc. There are some closeups but potentially could have been more. Oh and also, the Slomo feature is definitely cool! Not wanting to give too much away, and the fact that there are tons of techniques anyway, this review can’t list all the techniques included. However, below are three of the throws that we found the most interesting and the most useful. 1. Drop Seio Nagi – We are huge fans of this throw, probably because it’s a little flashy while staying extremely effective. Jimmy and Travis showed great attention to detail when demonstrating and discussing this technique. Some of the things that they really emphasized were getting a deep enough drop in between your opponent’s legs, along with maintaining good posture when finishing the throw so as not to let them take your back. All in all, we learned a great deal for this throw and we got to see one of our favorite throws be taught by two of the best Judokas around. 2. Katagaruma (Fireman’s Carry) – Seeing as Jimmy is a former wrestling champion for Brown, we had a feeling that this technique would sneak its way in here. This is another one of our favorite throws, as it is much like the Drop Seio Nagi, but attacks the legs. Travis and Jimmy made sure to demonstrate the correct angle to fall back at, as well as keeping good posture so as not to allow your opponent the opportunity to sprawl. As we’ve mentioned before, this is one of the best takedowns for Gi Brazilian Jiu-Jitsu, it’s nice to have the affirmation of one of the greatest Judoka as well. 3. Falling Lessons – Some of you may think this is a bit of a cop out, but we really think it is important to learn the correct break falls when being thrown. We’re not the only ones who believes this, as Jimmy and Travis open the series by not only teaching how to break fall; but also going through the mindset of an Uke, and how not to get hurt. Besides the tips, we want to make a special mention to the Slomo feature again. Jimmy and Travis have included a slow motion replay of many of their throws in this series, and we found it very useful when studying the nitty gritty details of each throw. I would recommend this DVD series to any practitioner who is looking to bolster their takedown game. We personally believe that Judo is one of the most beautiful martial arts aside from Brazilian Jiu-Jitsu, and we are looking forward to incorporating these techniques into our games. Who can really say that they aren’t at least a little excited about the idea of being able to toss their opponent over their head? Though some of these techniques may be a little advanced for brand new practitioners just weeks into their Jiu Jitsu journey, many of the foot sweeps, trips and throws are fundamental enough to be practiced by practitioners at all levels. If we were just starting out, we would acquire this DVD and slowly build up to the big throws and sweeps, while perfecting the more basic ones like the Osoto Gare etc. This was a great instructional series, and we loved it. You have two of the best American Judokas ever showing some of the most effective and high percentage throws for Brazilian Jiu-Jitsu. What’s not to like? The thing that made this DVD series really special was the fact that both instructors are multi-faceted and cross train. Seeing as Jimmy is not only the most decorated American Judoka, but also a successful college wrestler, and Travis is a Renzo Gracie brown belt along with a top five Judo player in the world; there is so much to be learned from them. 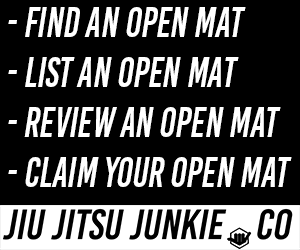 So if you want to get an advantage on the mats which will allow you to control where the roll/fight goes, this is perfect for you. You will be able to surprise all your training partners and opponents by putting them on their butts and you will be doing it in style as well.